When I got up on the 24th November 2016, I looked out of the window and noted that it was still breezy. It’s not something you find on the Beaufort Scale. 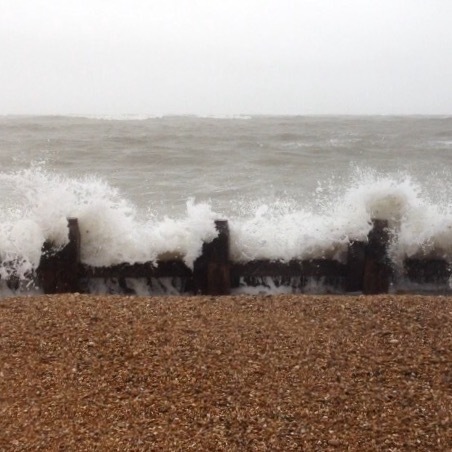 This photo, taken at Hayling in January, was edited from a still of a video, catching the waves as they crashed into the sea barrier protecting the stony beach. So it was a strong breeze then, and it’s still breezy now.